Tanya, I don't see how in the world you two take care of your home, your kids, work, and then have time to make all these quilts. I am impressed! Great job on the butterfly quilt. I love it! What embroidery machine did you get? I want one really bad, but don't have a lot of money to spend. Tanya and Richard in the picture of the quilts you got basted. The top quilt looks like fabric for Autism awareness. Is it and do you recall where you got it from. or what or who the name or fabric company that mad eit is? My son is Autistic and I care for him full time here at home. I would love for to make him a quilt with this type fabric. Sorry to be such a big pain. But this is the first fabric like this I have seen. Thank you. They look great! When's the guild show? Progress is being made, that's important. 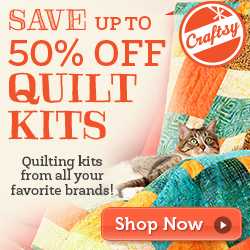 =) Love the quilts you've shown, and I look forward to seeing the one Richard finished.